Tom Rhodes and Gary Smith have been in the home improvement industry for over 30 years. Six years ago, they saw an opportunity to fill the growing needs of their industry by offering customized quality products and services at very reasonable prices, and AA Windows “N” Doors was born. Founded on a mission to provide the highest quality, highest value products and services to their customers, AA Windows “N” Doors has quickly built a solid reputation for doing business the right way within the Omaha community. AA Windows “N” Doors has been widely recognized for their ethical business practices and quality customer service. They were the recipient of the 2007 Better Business Bureau Integrity Award and currently hold an A+ rating with the Better Business Bureau. In addition, they are members of a variety of local chambers of commerce. Tom, can you give a general definition of “ethics” as you see it? If someone else did this to you, would you think it was fair? Would you be content if this were to be on the front page of your hometown newspaper? Would you want your mother to see it on the front page of the newspaper? What role does this view of ethics play in your business operations? “It plays a huge role. Our salespeople are trained that way, our installers are trained that way and, from the top down, we keep an eye on everything that is going on around here, just to make sure it is ethical and legal. We demand our entire company do the right thing for our customers. This includes giving a straightforward estimate and sticking to it. How do you go about hiring employees that fit into your business’s culture of ethics? Do your employees receive any formal ethical training once they are hired? Can you give an example of an ethical dilemma common to your industry that your company has encountered? How did you or your staff address this dilemma and what was the result? “An older gentleman set up a meeting with me to discuss some renovation on his home. After talking with him for a bit, I grew concerned that he was somewhat forgetful.  Many people say that Omaha offers a positive ethical business environment not found in other parts of the country. As a business owner, do you find this to be true?  What is your opinion on Omaha’s business climate from an ethical perspective? “I can tell you that the Midwest does have very hardworking and honest people who want to be successful. They are proud of their home and family. This is why the Midwest is doing better than some other parts of the country right now. There is a different outlook totally. “I grew up in upstate New York, and the only time we made coffee was when somebody died and we were going to a funeral. Who are some of your ethical influences? How did you come to “doing business” in a manner that has been widely recognized by the Better Business Bureau and others as exemplary? “My dad and my mom would be the first. There were fifteen of us kids. My dad didn’t have a lot of time for us, and my mom didn’t either. But I remember my dad telling me “don’t lie, don’t steal and don’t cheat.” I always remember this and that was where it first started. “I started working for companies, and some I enjoyed working for and some I didn’t. I have worked for some that weren’t the most honest, and I left after a short time. You have to make choices and I have chosen to work in honest, ethical environments. As a business owner, what is the biggest ethical challenge you face? “I suppose right now, it is a new lead law that changes frequently and is hard trying to keep up with it. It’s a very broad law that changes so much. We follow this law, even though not doing so in some cases would save us time and money. There are companies out there not following it. “Most of them probably won’t get caught. It would be very difficult to get caught not following this law, but we chose to conduct our business by abiding by this law, even if we aren’t being watched. We make sure our installers are certified to deal with this law and we do our best to keep up with the constant changes. The cost alone to pass on to our customers is too much. Are there financial benefits to operating your business in an ethical manner? “We have had more good experiences by doing things the right way than bad experiences, by far. People tend to talk to each other. If I can do something right for somebody, they will pass it on right away, and I will get more business. It’s the right thing to do. As a business owner, what advice do you have for someone looking to start their own business?